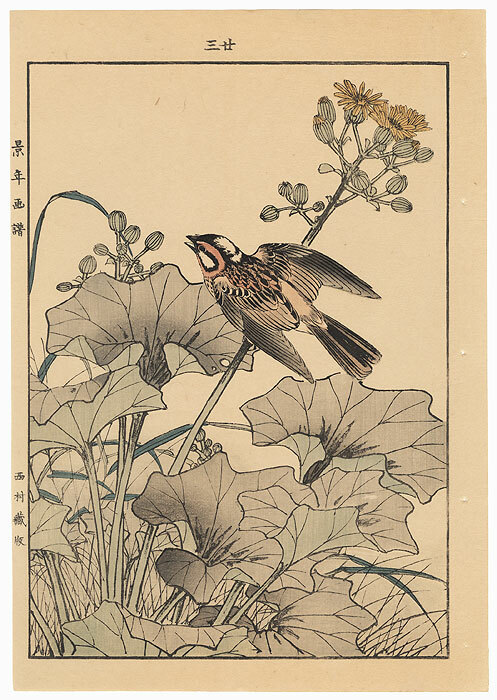 Imao Keinen and the woodblocks of the four seasons - Imao Keinen is a noted woodblock print artist from the late 19th century specializing in birds and flowers subjects. His lovely woodblock prints are naturalistic representations of birds in their native habitat and the beautiful Japanese flora. 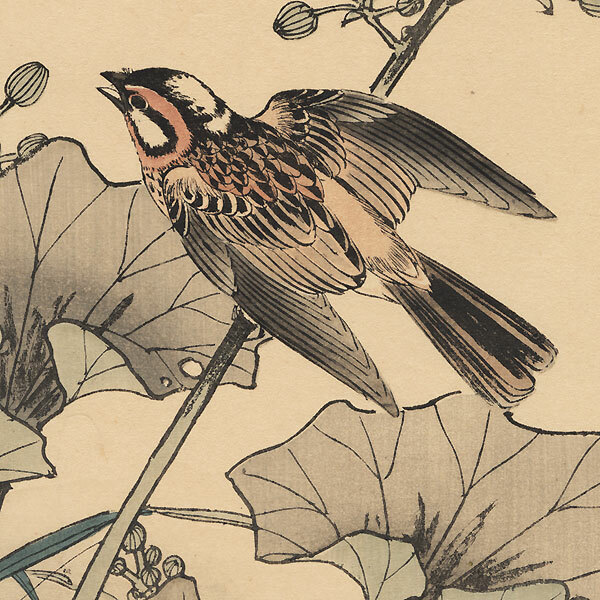 Keinen's most famous work is titled "Keinen Kacho Gafu"; and was a stunning four-part work of woodblock prints of birds and flowers in the four seasons. 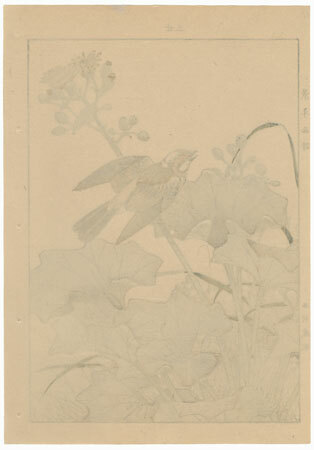 These woodblock prints were full oban vertical subjects in a natural soft color palette. Featuring stunning large birds and beautiful small songbirds against scenery like blossoming cherry branches or snow covered trees, these are exceptional nature prints from the 19th century. These are all first edition, original prints from the 1891 release of "Keinen Kacho Gafu". Search the web, we found these lovely prints sold in the $175 - $350 range. Of course the Fuji Arts Keinen prints are all priced well below that standard retail range- and the exceptional quality of these prints is second to none. A rare opportunity to collect the highest quality Keinen prints at prices not found elsewhere. Bid now! Winter - A fantastic original bird and flora subject from Keinen's four season's series. This print from the winter group. Bare tree branches, fresh heavy snowfall, a few hardy plants surviving the winter, and birds foraging for food are all represented in Keinen's winter group- outstanding. Condition - This print with excellent color and detail as shown. A few stitching holes at edge from folio inclusion. Light toning, a couple small spots and paper inclusions. Please see photos for details. Good overall.